Vitamin C: an all important anti-oxidant, it helps the mitochondria to burn fat. No wonder I crave this vegetable! 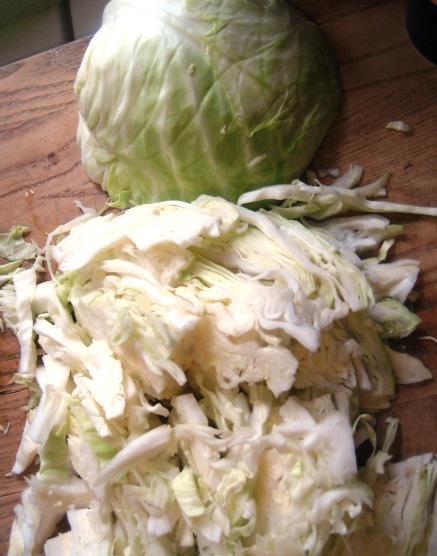 Cabbage is very low in calories, about 15 per cup. Adding fat, like sesame oil, helps make this side more filling. The fat also breaks down the cell walls of the plant, allowing your body to access the nutrition inside. Ok, enough with the science, let’s get on with the recipe! This first part takes about 5 minutes and then you let it sit for an hour. Thinly slice a small/medium organic cabbage. Shredded cabbage, ready for salting. Layer it in a big bowl with salt. Let it sit, with a weight on it for best results, for at least an hour. This makes the cabbage softer and easier to digest. and just a dash of stevia or 1/2 Tablespoon of honey. 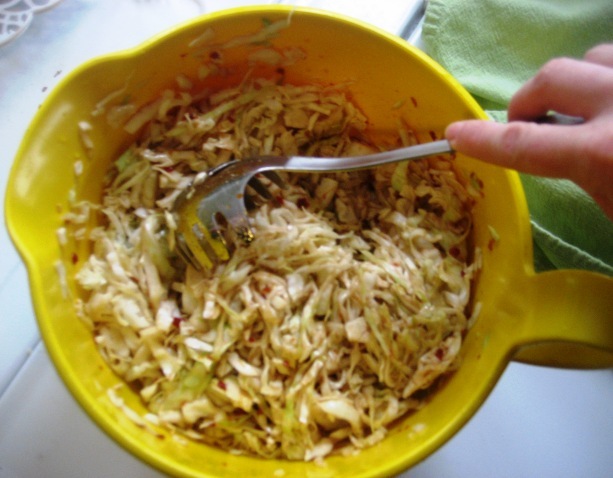 Rinse and drain the salted cabbage when it’s ready. I used a salad spinner. 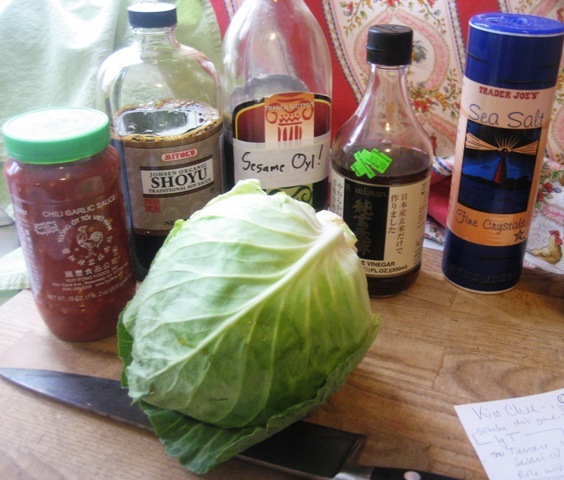 Combine the cabbage with the dressing. I find that a spaghetti wrangler works well for mixing. Let it sit for another hour to develop more flavor and continue to wilt. This will keep well in the fridge for a week or so and is a great side dish, I like mine with mushroom soup!